Did you know a three ounce serving of beef contains ten essential nutrients? Or that there is a difference between “grass-fed” and “grass-finished” cattle? 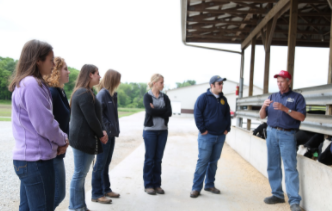 Starting in May, the Agriscience Interns began a program called Masters of Beef Advocacy. This program was developed by the Ohio Beef Council to educate consumers about beef production from farm to fork so that they can be advocates for the industry. 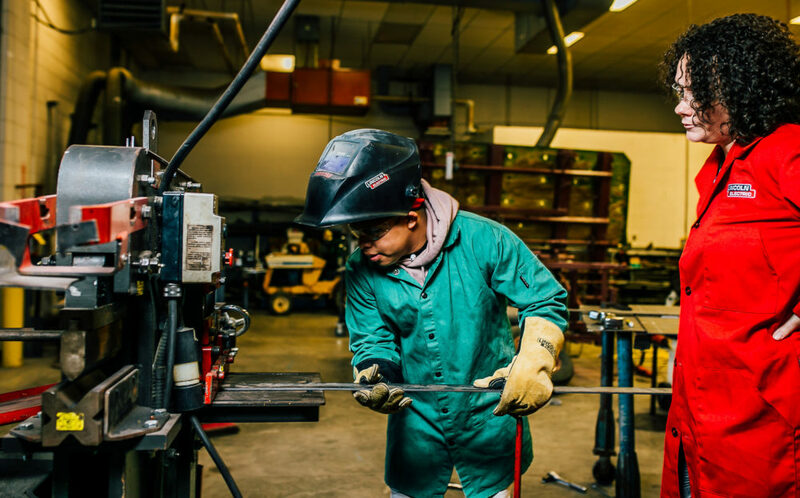 The program consists of a series of modules that cover everything from raising cattle in a feed yard to preparing beef for dinner. I really enjoyed the online educational material because I learned so much about the beef I eat and I am able to rewatch the videos whenever I want as a reference. I was actually able to use the material from the program, ohiobeefcouncil.org, and beefitswhatsfordinner.com to create a workshop that I presented at the Ohio State Fair in August. The Masters of Beef Advocacy program is open to anyone who wants to participate, it’s free of charge, and it’s super easy to complete! The Ohio Beef Council does a great job of educating consumers about their industry by conducting tours, info sessions, cooking demonstrations, and more. 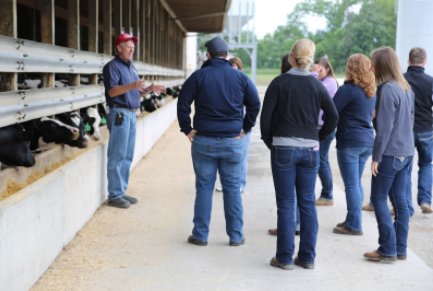 On May 24th, Cambell Parrish, Director of Public Relations and Consumer Marketing for the Ohio Beef Council, took the Agriscience Interns to Watts Farms, which is a cattle and grain operation in Alexandria, Ohio. Phil and Barb Watts showed us around their farm, answering lots of questions and sharing their experience in the cattle industry. I thoroughly enjoyed the tour because of the direct interaction we had with the producers. As a future agricultural educator, I would like to take my students on similar industry tours because I believe they will learn more from seeing and experiencing industry rather than simply hearing about it in a classroom. Not only was the beef tour informative, but it was also a great networking opportunity for all of us future educators. All of the interns learned a great deal about beef production, but we all wanted to learn more about how to address consumers with misunderstandings about the industry. 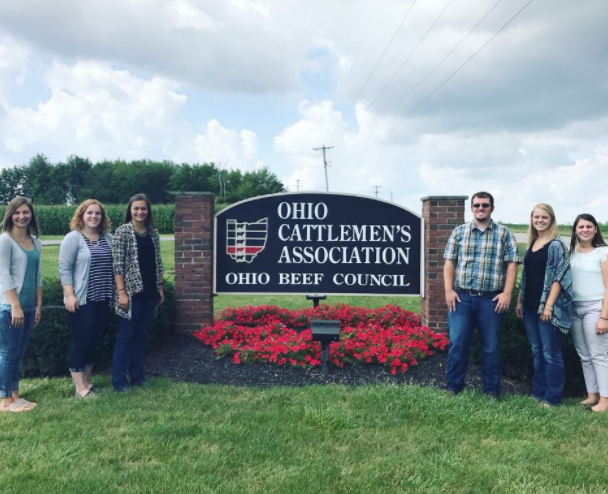 We were invited to the Ohio Beef Council’s headquarters in Marysville where the staff spoke to us about how to address common misconceptions about beef production, nutrition, sustainability, etc. It was another very informative session full of great networking opportunities. I was very impressed by how willing the entire OBC staff was to help us with any needs we might have in the future. Their goal is to serve the consumers and provide them with any resources they need, such as classroom material for agricultural educators. The final piece to our advocacy training was dinner at The Barn in Gahanna, Ohio. The Barn is a traditional steakhouse that works closely with the Ohio Beef Council in advocating for the beef industry and educating the public. During dinner, we had more discussions about beef selection and preparation. It was a great wrap up to the entire learning experience with Ohio Beef Council and all of the interns are very thankful for the time and energy put into helping us become better beef advocates. Because of the Ohio Beef Council, I feel more confident in sharing knowledge about the beef production with students, friends, and fellow consumers!